You are beyond wonderful ! Very happy with all aspects ...was pleasantly surprised at how quickly my order arrived. And yarn was as photographed..good colour representation. A very happy customer. The website is beautifully designed and a pleasure to use. The yarn is excellent quality, great value for money and the choice is the most extensive on the internet. 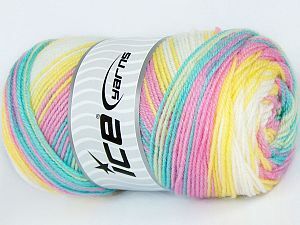 In short, I love you Ice Yarns and will be back for more soon. Im very happy with my order.The colors of Camilla Cotton are lovely! I am really surprised with the delivery time, only 3 days!!! Thanks for your service!! The fastest shipping Ive ever seen for overseas .Used Express was worth the money. I ordered Thurs. and got Tues faster than U.S shipping. Packing could of been better. Absolutely amazing delivery time, next day from Turkey to UK. Would like to be able to use PayPal. I have ordered twice and I am loving your yarns!! So glad I found this on www.creativegrandma.net. I use that site for everything relying on Glendas advise. Would like to know approximately when majic baby will be available. Thank you for the great products. Fijne service, mooie garen. Bedankt voor de snelle reactie bij mijn vraag. wonderful colors and product. thankyoh for the extra gifts. Absolutely LOVE your yarn. I order about once a week, taking advantage of your Flash sales. Have never had a negative experience. You all are wonderful! I love the variety of yarns available and the sales and discounts. Shipping was much faster than I expected. I wish you posted more coupons. I understand ordering over seas the shipping is expensive, however flat rate shipping for big orders would be nice. Thank you! Love the yarn I bought and it arrives so fast. Only 4 days for delivery to Virginia, USA from Turkey. I like the yarn very much! I especially love the Favorite Wool and Cashmere Gold, they knit up so nice. Also the Alpaca superfine & kid mohair is awesome for chain plying. Purchase was shipped quickly and accurately. I will definitely be a repeat customer. Thanks so much! Keep up the good service.. I was worried about buying from you as you being so far away. I will definitely be buying from you again as I am very pleased with the yarn and the service, the delivery was very quick and the duties and fees were fair in price. Will recommend your website. found your site from watching The Secret Yarnery. love the yarn. got a bag with first order didnt get one with second order. I enjoy your frequent emails regarding special pricing opportunities. 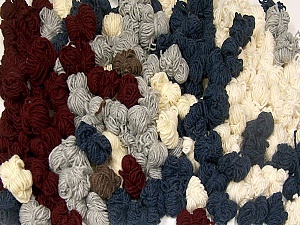 It encourages me to venture beyond my favorite few types of yarns that Ive only been able to view or purchase locally. Many local craft stores that were close in proximity have closed and are now online shopping only. Im very happy I found you through Christas YouTube channel named Secret Yarnery. Thank you for the free project bag & coaster! Another load of beautiful yarns ! I can knit and crochet for years !!! thank you so much ! I absolutely love this site. I have ordered from you previously and been happy with the service and the quality of the yarns you provide A++. Thank you. Love your products and service. I will be ordering from here again. The price was reasonable and the shipping was faster than expected. The product was exactly what I expected and needed. Other than thank you, from all corners of my heart for being here? My children are clothed in Ice, it keeps their hands and feet warm! Thank you for being so reliable, and affordable! I would not be the knitter I am today without you! Please, please never go away! I would like to see a a small sample when its fantasy item. Your prices are fantastic and you make it far too easy for me to order more! I love your yarns !!!!! The shipping cost was a shocker but understandable. You have lovely colors and tons of options. Thank you so much for great products and service. Third time ordering yarn from you. Can not believe how quickly it is delivered! I have been ordering different types of yarn just to try them out and they keep getting prettier! This batch is the best yet - the Prima Donna yarn and the Magic Glitz are incredibly beautiful. I know I will be ordering them both in other colors soon. This was the most beautiful yarn I ordered so far ! The yarns are so soft, so colorful, so radiant ! The silk is a christmas present for a friend, the colorful ones are mine. I already started the one with the magenta. I just had to see how it would look like. This is going to be a sweater for me. Thank you Yarn Paradise, you made heaven for me ! Love the yarn and the prices. Beautiful yarns as usual ! My friends have chosen what they like and I already have the patterns ready. Thank you so much for such wonderful yarn, in such extraordinary quality, at such an unbelievable price ! I found the speed of the order I placed was very quick. The yarn is quality and quantity. I will order again. Im very happy with you! I love your products a lot I just wish that you can give the shipping a little cheaper or a places where we can get it here in US. I was anxious to see if your yarn lived up to some reviews I had seen and it did. The yarn is beautiful and feels so nice. The quality is excellent!! I have already put in a second order and will continue to order in the future. I will also be telling all my friends about ICE yarns. Fast delivery in a week . This yarn is so beautiful. I have purchased a lot of ice yarn and have never been able to fault it. Just such a shame that shipping is so expensive. The yarns are very beautiful, colourfull, soft and cheap price. About 2 weeks to Indonesia. And I love for discount cupon offer that additionally come. All of the yarn was better than I was expected the price is fabulous. If u can make some off the yarn to buy mix and match or what gose together to make something with it I will buy more. I love that your photos are true to the color that you receive. When you look at the price of your yarn and the speed at which you receive your package, the shipping costs really dont look that bad. Your yarn is the best in the world. Ive ordered far too much over the years & never, ever been disappointed. Quality superb, prices amazing. Delivery first class. My order today arrived in less than 24 hours - incredible. Excellent shipping time and great value. I am very happy with my purchase, the cost was really good, the shipping time was simply amazing. From Turkey to Nothern Central United States in a few days. The shipping costs were pretty reasonable when I think of how far it came and so quickly. My package (a bag, inside the yarn packages were in other bags) had a small puncture, but the yarn was not damaged. As far as your website, it is wonderful, there is so much content that I was overwhelmed. It will take me a few times of using it to really get use to navigating it. Over all I would say it was good, user friendly. This user just needs more practice. I look forward to making future purchases. This was overall a very positive experience. Thank You. A fonal tokeletesen alkalmas otthoni hasznalatra. Az Express fantasztikusan gyors! Egy nap! On is fizethet erte, a normal ar sokkal dragabb. Sajnos ez csak 2 kg. Nem szamit, en modositom! Literally for years, I have never shopped any place else. Its so easy to order. The pictures on the website are extremely good, I always know that what I see is what I get. The shipping costs at first seem high but when you factor in the extremely low prices that they have, ita still an outstanding deal. Working with quality natural yarns has taken my work to another level. And, I cant even find such quality yarns where I live. like I said for years, there is no other place that I shop and I am always so excited when it arrives! Thank you very much ....... Gorgeous Yarns! I love your yard sale items. This week, I found camel yarn, a silk, wool and linen blend, and an angora blend at unbelievable prices ! The yarns will make gorgeous shawls ! Shipping prices are ridiculous. Customs held my package so it did not arrive until 4 days after expected date. very impressed with speed of shipping - made the slightly higher shipping cost well worth the price. I will definitely buy directly from you rather than through retailer in US. My order shipped so quickly from Turkey to the USA. I was very impressed with the shipping. Your site is great !!!!!! Im very happy with your yarrn and your service! Love this site..great prices and beautiful yarn..and took no time for items to be shipped and received..will order over and over again. 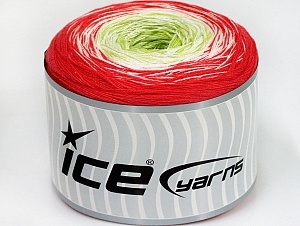 This is the third time I buy from Ice Yarns. I absolutely love your products. They are my favorite. You have a big selection and the price is amazing. Thank you! I love this company! The variety is incredible and the prices are almost impossible to believe. The prices are so low, that even if your shipping costs $20-30 (due to international & priority rates), you still literally pay about half the price you would for the same item at any craft or boutique yarn store in the US, particularly if order in large quantities. You would think that its too good to be true, but this is one rare instance where this is NOT the case! The quality of the fibers are premium, excellent, clean packaging and amazing service. I cannot recommend Yarn Paradise highly enough! Also, I forgot to mention that despite the shipment coming from Turkey, I have received all of my order in less time than I have for domestic companies. Excellent service, quality & value for money. When I learned my yarn was coming from Turkey I was quite concerned, about it actually getting to me let alone in a timely fashion. I will have to say however it came very fast and is excellent quality. Pretty impressed really. Would order from this company again, and recommend to friends. Thanks from Portland, Oregon US. Today I received the Primadonna yarn. It is gorgeous ! such beautiful, vibrant colours. Will make a sweater and 2 shawls, I think, was going to give to a friend but already bought some other yarn for her. Primadonna is too beautiful to give away !! Thanks ICE Yarns ! The yarn that I ordered this time was a gift for my sister. It is great that I can send it to her in United Kingdom and use my credit card to purchase it from the USA. It arrived quickly and she was very pleased with the yarn. Product came very fast. I was pleasantly surprised and very pleased. in fact, I got my shipping notice less than 24 hours after my purchase. The yarn arrived 5 days after I bought it. I was notified every step of the way where my package was and how it was being handled. The yarn appears to be of good quality and packaged very well. Service was quick and efficient. Nothing was smashed together, it was packaged with care. I will definitely shop with again. I am amazed at the quality and speed of shipping from Turkey to Florida, USA. Wauw, what a great services. Yes the freight is high but even when selecting the slower shipping method I still received the goods within 2.5 to 3 weeks. 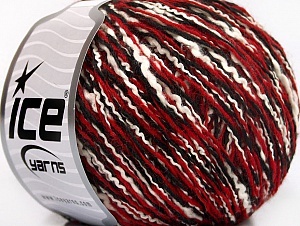 The yarn cost is far below what I have to pay at home so overall price is on a par with special prices here ( If you can find what you want here, which I couldnt) I am very happy with the range and quality and just ordered for the 5th time. I am very pleased with the whole experience. Your website is easy to navigate & fun to look through all of the great products. The prices are awesome and you have a large selection of beautiful, high quality yarn! Whenever I see a yarn that I love here in the U.S. (yarn with a high price tag) I go to your website because I know you will have a comparable yarn for a better price. Your shipping time is very fast and seems reasonably priced considering U.S. shipping prices can get expensive. I will definitely purchase from here again. Thank you! Your yarns are gorgeous ! I think the Mohair Active is one of the most beautiful yarns ever. So soft to the touch, knits out beautifully, stitch definition wonderful, and even plain knit is beautiful. I am knitting grey and blue tones and it comes out so well, I have now ordered 2 more colorways. Love your yarns ! Will order more ! I was blown away with the ease of ordering, payment, and delivery of my order and will definitely order from you again. I am always amazed at the speed of delivery ! Ordered on Saturday, arrived on Wednesday. Quality of yarn is excellent, all items knit so far superb. Totally satisfied. Other stores may be cheaper on shipping but your yarns are at such a price the shipping cost is well worth it ! Thank you so very much ! I love, love Yarn Paradise. The delivery is crazy fast !! also from Ebay. Im sure I will order more soon. Thank you very, very much !!!!!! This is the second time ordering from you and I am so pleased with the quality and also the quick delivery. I look forward to ordering again in the future. 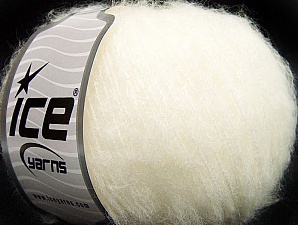 Bij Made by Siem die tutorials maakt zij gebruik vaak ICE yarns en is zo tevreden dat ik beslist had om de garen van ICE yarns ook te proberen en ben er super blij mee. Dank zij Siem zal ik nog meer garen bestellen. You are my favourite yarn shop. Since I have found you i buy only from you and i always recommend your shop to my crocheter friends. Thank you for everything. I am very very satisfied. The quality of the yarn I purchased exceeds expectations; Im especially blown away by the quality in light of the price. Every penny of the shipping cost was worth it too. I received my order in four days! I dont know how you do what you do, but please keep it up! This was my first purchase, but it wont be my last. Thank you. Veldig forn?yd med ? f? varen hjemkj?rt s? raskt. exactly as described and pictured on your site. I will let additional feedback after knitting with them, but for now Im delighted! I chose standard delivery, and even so the packages arrived in Australia in less than 2 weeks. Unbeatable quality and price, considering that the total amount was approx. 20 AUD400g package ! Highly recommended! Excellente transaction. Superbe produit, Cliente trÃ¨s contente ! If you aren't in a hurry than it is a good deal. The yarn was beautiful. THANK YOU FOR THE SMOOTH, EASY TRANSACTION - BEAUTIFUL YARN! Fast delivery.Excellent communication.Will buy from again.